NuSpace combines modern equipment and technology with ancient practices designed to calm and strengthen the body and mind. We have redesigned the group practice experience from beginning to end, introducing new classes for injury rehabilitation, parent and baby, and emotional wellbeing. Alongside this, we will be introducing state-of-the-art virtual sessions, so you can access a class to suit you at a time to suit you. Explore the classes and studio below, or come to see for yourself. 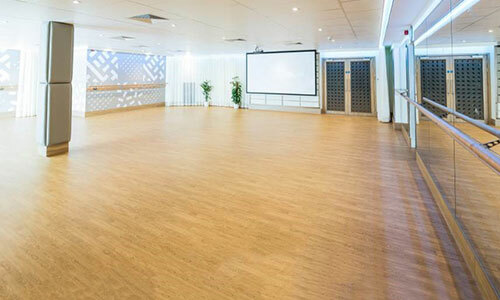 View our timetable and book online. Focus on movement, breathing and thought in a space where top-of-the-range equipment, specially selected plants and scent, and optimum temperature are carefully balanced. From the calm waiting area and shoe store to the expansive studio itself, the NuSpace environment is designed to shut out the noise of everyday life and enhance your mind and body class experience. Expert instruction can make the difference between a good class and a great one. 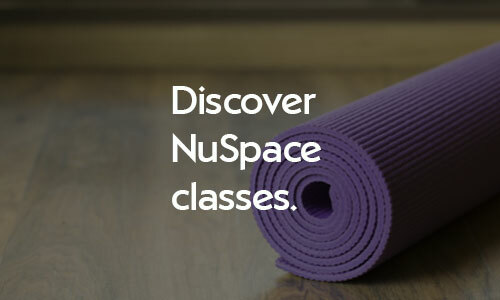 NuSpace instructors have decades of experience between them, teaching a broad range of disciplines. Your instructor will introduce themselves at the beginning of the class, and you're encouraged to make use of their expertise throughout the practice. Whether it's your first or thirty-first class, they will be able to offer guidance and adjustment where necessary, creating a focused atmosphere throughout.